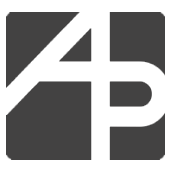 A.T. Pancrazi Real Estate Services, Inc. was established in 1923 to provide real estate broker services to the residents of southwestern Arizona and southern California. Thomas J. Pancrazi is the licensed and sponsoring broker of the firm and has successfully developed a solid corporate identity by cornering a major portion of the commercial real estate market in the desert southwest and enjoys integral and unparalleled involvement in the development of Yuma County and Imperial Valley. The key to A.T. Pancrazi Real Estate Services, Inc.’s success is its comprehensive understanding of the growing needs of residents and business owners in Yuma County and Imperial Valley and its extensive network of investors, developers, consultants and municipality personnel. The firm prides itself in unequalled responsiveness and quality of service and continually strives to strengthen its position in target market areas by providing superior real estate services, which is evidenced by the firm surpassing all prior annual sales records in 2011 by closing in excess of Fifty Million Dollars in agricultural land sales. A.T. Pancrazi Real Estate Services, Inc., spearheaded Yuma Regional Medical Center’s land acquisitions to accommodate development of the new +/-40,000 square foot Yuma Regional Cancer Center at 2375 S. Ridgeview Drive, in partnership with Mayo Clinic, which opened its doors in July 2014. Additionally, A.T. Pancrazi Real Estate Services, Inc.’s key involvement in the development of Yuma Palms Regional Center and the adjacent Las Palmillas Shopping Center demonstrates the level of this firm’s knowledge and ability to successfully develop and market projects in excess of Seventy Million Dollars in scope and size. A.T. Pancrazi Real Estate Services, Inc.’s participation in the development of Yuma Palms Regional Center included, but was not limited to, site location, rezoning, entitlements, base planning, development of site infrastructure, and leasing agent. 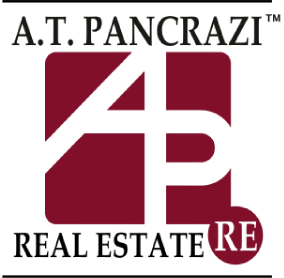 As Leasing Agent, A.T. Pancrazi Real Estate Services, Inc., successfully leased 98% of the available one million plus square feet of retail space in Phase I since its grand opening in November 2004, attracting national tenants such as Best Buy, Old Navy, Anchor Blue, Marshall’s, Ross, Target, PetsMart, Olive Garden, Chili’s, Logan’s Roadhouse, Verizon, Chuck E. Cheese’s, Hooters, to name a few. Other projects credited to A.T. Pancrazi Real Estate Services, Inc. include three (3) new Wal- Mart Super Center locations, two in Yuma and one in San Luis, Arizona along with a Walmart Neighborhood Market, which opened in doors in late 2015. In addition, Yuma Commerce Center Industrial Park is a 176 acre industrial warehouse complex which has attracted such users as window and door manufacturing giant, Alside, Northwest Industries, Fed Ex Ground, General Services Administration, Pepsi Lane, Truly Nolen and Southwest Gas just to name a few. Some of the services provided by A.T. Pancrazi Real Estate Services, Inc. for these projects included, but was not limited to, site location, rezoning, entitlements, base plan, development of infrastructure and leasing agent.